As a boy growing up in Mexico, Javier Vela took an early interest in science and planned to become an engineer or a physicist. But an “excellent” high school chemistry teacher helped steer him onto the path to perhaps solving one of the stumbling blocks that’s hampering the biofuels industry. 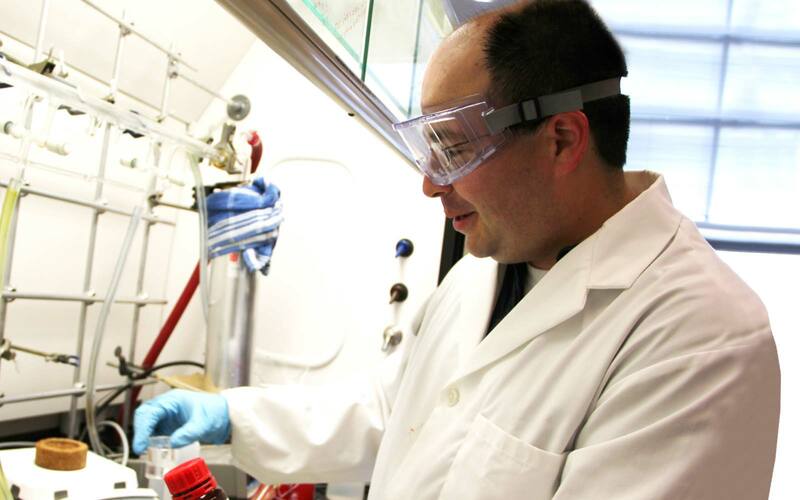 Vela has been making the most of that opportunity, studying the fabrication, characterization and properties of novel heterostructured nanomaterials, a key tool in developing catalysts to solve the biofuels problem mentioned above. And Ames Lab has been vital in those efforts. “Ames Lab has obviously been extremely helpful in the scientific area. Electron microscopy is very important to what we do, and the Lab provides us access to those resources,” Vela says. Click here to find out more about Vela’s work.